Daily Prompt: What’s your ideal Saturday morning? Are you doing those things this morning? Why not? My ideal Saturday morning… There are so many options to choose from that I can’t decide. I think my favourite mornings are the ones when I have something to look forward to later on in the day. I also love to spend my time relaxing in the garden on sunny summer days, having some tasty breakfast outside and then reading on the grass. So I suppose my favourite Saturday would consist of all of these things, plus a nice lie-in! Daily Prompt: You have the chance to write one last post on your blog before you stop blogging forever. Write it. So long, and thanks for the ride! Daily Prompt: Write about your strongest memory of heart-pounding, belly-twisting nervousness: what caused the adrenaline? Was it justified? How did you respond? Daily Prompt: Take a subject you’re familiar with and imagine it as three photos in a sequence. Tackle the subject by describing those three shots. Behold the first photo – a little girl, around the age of five, with blonde-brown hair in wispy bunches and wearing possibly the sweetest smile you can imagine. The smile disguises the mischief beneath. And did I mention she is dressed as a power ranger? My sister. The second photo holds my mum – she is pretty despite the tired eyes and smiles happily. There is a Christmas tree behind her which echoes her love of everything festive and colourful. Which leaves my Dad – and our dog. He leans back in a deckchair at the bottom of a garden and the trees ahead dapple shadows across his face. He is squinting as he smiles and his arm is wrapped around a whippet puppy curled up on his lap – a reflection of the years to come and his utter devotion to our dog! Daily Prompt: When was the last time you felt really, truly lonely? There have been quite a few times in the past few months but I don’t really want to go into detail! Instead I’ll tell you about a time I went on a German exchange and ended up feeling a bit lonely on one of the days out. The whole trip was amazing overall, but this was just one little blip in my fun! It was the day before my birthday (I spent my 15th there) and whilst our partners were at school, we visited a town with a castle, beautiful architecture and lots of shops. One of the teachers asked me, my friend and another girl to go out and buy a present for the teacher who had arranged the whole trip, to say thank you, and of course we said yes. As the day wore on and we walked in and out of more and more shops, the other girl and my friend started to walk ahead of me and have their own conversations, telling each other how glad they were to have got to know each other – which is lovely, but it would have been nice to be included in this. I did feel kind of lonely trailing behind them while they completely ignored me. Maybe I was being a bit oversensitive – it was going to be my first birthday spent away from home, and because I’ve been shunted out of friendship groups in the past. Either way, the part that got to me most was at the end of the afternoon, once we had bought the presents. We were sitting in a café and the girl had her back to me, talking to my friend and telling her how nice it was that she had helped and had given up her whole day to buy the teacher’s presents. What about me?! I wasn’t acknowledged once. I didn’t want to be seen as a complete child and attention-seeker (because I’m not) but it hurt a bit! Daily Prompt: Write a piece about a typically “local” experience from where you come from as though it’s an entry in a travel guide. Located just a comfortable bus ride away from the centre of Nottingham, Wollaton is a suburb with a lot enough to offer. With the majority of the community being middle-class and elderly, you can push your toddler’s pram around as many streets as you wish, safe in the knowledge that the only danger is the wrath of a grumpy neighbour. Looking for food? Choose between a vast array of pubs, fish and chip shops and… well, that’s about it. But the fish and chips are notoriously good. The jewel of Wollaton is, of course, Wollaton Hall, set in the picturesque grounds of Wollaton deer park. Whether you’re looking for peace and quiet by the lakeside or screaming, ice-cream covered chaos at the play park, you can be sure to find it here. Searching for something extra? The annual Splendour music festival takes place on the park in July, with previous artists including Jake Bugg, The Scissor Sisters, Foxes and many more. Spend the whole day wandering around the different stages and stalls, laughing at the many people who have already had too much cider. If you get bored of this, you can spend a few minutes being awestruck at the ridiculously high prices of food (although by then you’ll probably be too tipsy to care). A word of advice – keep your children close in the crowds and bring a picnic – it’s much cheaper. Overall, the festival is a place to meet up with a large majority of Nottingham’s population, dance, sing and have a good time. You’ll love (some of) it! Daily Prompt: You’re given a plot of land and have the financial resources to do what you please. What’s the plan? That depends on the size of the land, but I know what I would do if it was fairly small. I would build a quaint and quirky little café, with patchwork sofas and mismatched coloured chairs and maybe some fairly lights. I would decorate according to the season or occasion, so at Christmas I would transform it into a winter wonderland with holly wreaths and berries, and at Easter with daffodils and painted eggs. I would also bake my own homemade cakes to sell – carrot cake, chocolate orange brownies, cheese scones… anything I felt like making that morning. I think I’d also hold some special events throughout the year, such as an Easter egg hunt or fund-raising get-togethers. It’s making me sad that I can’t just do this now! Daily Prompt: Being a Tourist! Daily Prompt: What’s your dream tourist destination — either a place you’ve been and loved, or a place you’d love to visit? What about it speaks to you? I’m going to have to pick two here – one place I have visited and another I want to visit. The first is St. Ives in Cornwall. 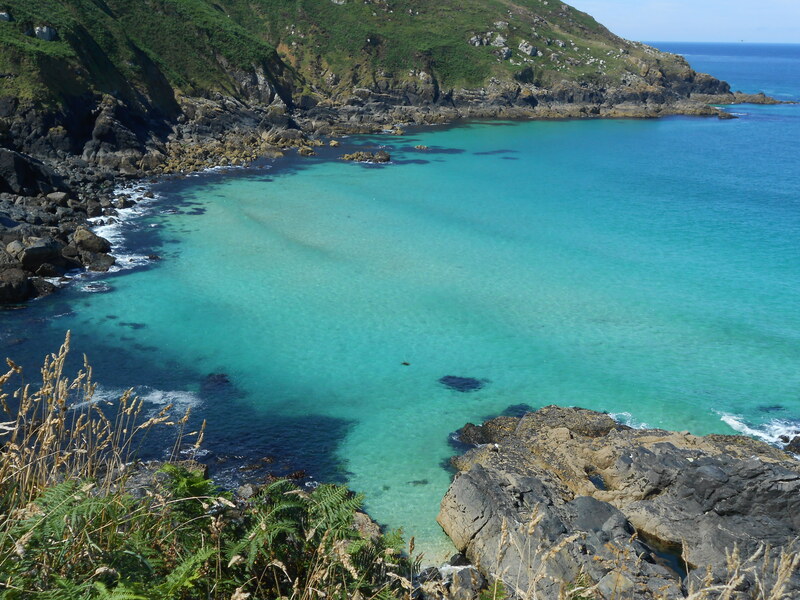 My family and I have been to Cornwall so many times throughout my life that it only seems right – when someone says ‘holiday’ I instantly think of Cornwall. St. Ives has the hustle and bustle feel of a town, but it’s right beside the sea – which is why I like it so much! There’s also so many little coves and paths to explore so you could spend days there and not get bored. The place I would love to visit, as I have said many times before, is America. I would be happy to fly to any place over there but my dream is to go on a road trip along Route 66 and see the Grand Canyon along the way. Spending a lifetime in England is great with all the rolling hills and green countryside, but I’ve never experienced the natural beauty of deserts, canyons… you get the idea. Hopefully one day I will! Daily Prompt: “Think global, act local.” Write a post connecting a global issue to a personal one. Waste of any kind is one of the issues I find most annoying in this world. In our house there simply is no waste. We usually eat everything but when we don’t, it goes in the fridge for another day. Even the grisly, inedible pieces of meat are cooked up and added to the dog’s dinner! I know in a lot of places this isn’t the case. My mum worked in a school kitchen and any surplus food had to go in the bin. If anyone took any of this home, they were liable to be sacked – which I find ridiculous. Everyday my mum would watch trays of untouched meals go in the bin, when they could be being eaten by someone who really needed it. Another time I was in a café in Cornwall and had to watch a table of friends leave about three-quarters of their food on their plates. Even the waitress looked disgusted by this waste – don’t order it if you’re not going to eat it! After climbing Mount Snowdon in April a couple of years ago, we thought all of the snow would have melted. It hadn’t. We reached the summit through bitter cold winds and fog so thick we couldn’t see more than ten metres in front of us. But the worst part was coming back down. We took a wrong turn and ended up on an icy slope which was supposed to be a path – in summer perhaps. I feared for my life. At one point I lost my footing and began to slide towards what must have been a large drop at the bottom of the slope. Luckily my dad managed to pull me back up and we miraculously all made it back to the car park in one piece. But honestly, I thought we’d never come back from that one.